WTF Are You Reading? 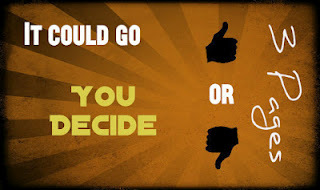 : Adult Thriller Review: Is "Zoo" A Book You Could Get Stuck In? Adult Thriller Review: Is "Zoo" A Book You Could Get Stuck In? With the help of ecologist Chloe Tousignant, Oz races to warn world leaders before it's too late. The attacks are growing in ferocity, cunning, and planning, and soon there will be no place left for humans to hide. 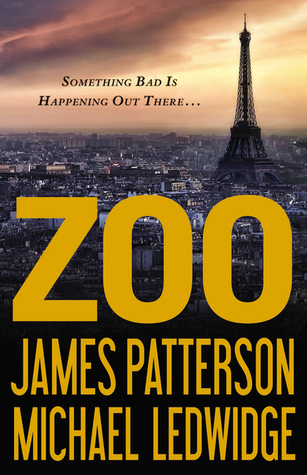 With wildly inventive imagination and white-knuckle suspense that rivals Stephen King at his very best, James Patterson's ZOO is an epic, non-stop thrill-ride from "One of the best of the best." I must preface this review by saying that this is my first experience with a James Patterson novel. The premise set forth in zoo is one that lends itself to the "what if" factory that is the human imagination. Animals rising against humans is a fear that has not yet been civilized out of the human psyche, and as a result will always be a "bump in the night" at which we will always jump. The Who Of the Whole Thing. Jackson Oz is the best thing and the worst thing about this story. He is so likable that you can't help cheering him on. On the other hand, because of some "convenience writing" on the part of Mr. Patterson. Things just seem to fall into place a bit too easily for Oz, and he he loses a lot of his fire at or about the story's midpoint. This spells trouble for the plot, because so much of it centers around him. When first we meet her, Jackson is saving her from certain death by crocodile in Africa. By all accounts, she is everything that our boy needs and they are going to save the world together. Once they get back to the states, and the pesky issue of his on again-off again relationship with his previous girlfriend is resolved; Chloe finds herself relegated to the role of "stand by your man" supportive girlfriend, and later wife. The best characters by far have to be the animals. They provide the wow factor that makes this story work. Aside from the lull in the middle when it seemed that all Oz did was just go from one meeting to another explaining the whole "animals gone wild" thing and trying not to say " I told you so", the story was very well written. The time jump between parts in the end can be a little weird, but by that time you are so ready to find out how things are going to resolve themselves that you don't really mind it. This is not an epic read. This is a book to be read for fun and would be a great beach read. I haven't heard of this one before, though I am a big JAmes patterson fans, at least of the books I have read. I might eventually pick this one up, but by the sounds of it I'm not too sure this one is up my alley.